Over 2014, Higher Logic and eConverse Social Media worked with the International Association of Accessibility Professionals to launch their community, IAAP Connections. Through this process, Higher Logic made a large number of technical changes and upgrades to make the platform accessible to those with vision impairments or who may be using assistive technologies such as screen readers. Although you may not know it, these changes have been applied product-wide to your Higher Logic sites and will continue in future releases. This page serves as an example for how an accessible website should be formatted for those using assistive technologies - everything from the technical changes that have been made, to what colors and design elements are necessary and how to write documentation that will help make your site accessible to all of your members. While we typically think of complete visual impairment first when dealing with web accessibility, there is a whole spectrum of kinds and degrees of disability. Hearing impairments, color blindness, partial visual impairment, temporary or permanent physical disability, neurological conditions and cognitive impairments can all impact how a user interacts with your website. Typically, we use paragraph styles for aesthetic reasons, but for accessibility they need to be used in a consistent and deliberate manner as they indicate not only content, but context. The size, font and color of tags can be changed universally using CSS. Make clickable areas as large as possible so that those with diminished motor skills can navigate and get the information they need. It is easier to click on "This is a map of North America" than on "Map"
Label buttons to indicate where it will lead a user. "Read More Discussion Posts" is better than "More"
Use Navigation and Page Titles that reflect what is on the page. "New information for Members" is better than "What's New"
Use tables - data in tables is difficult to navigate when it is read aloud. When uploading all images, be sure to add in all three fields: alt text, common_description and long description. In different browsers, assistive devices, versions, parts of a website, etc. different fields will be read, so fill them all out. 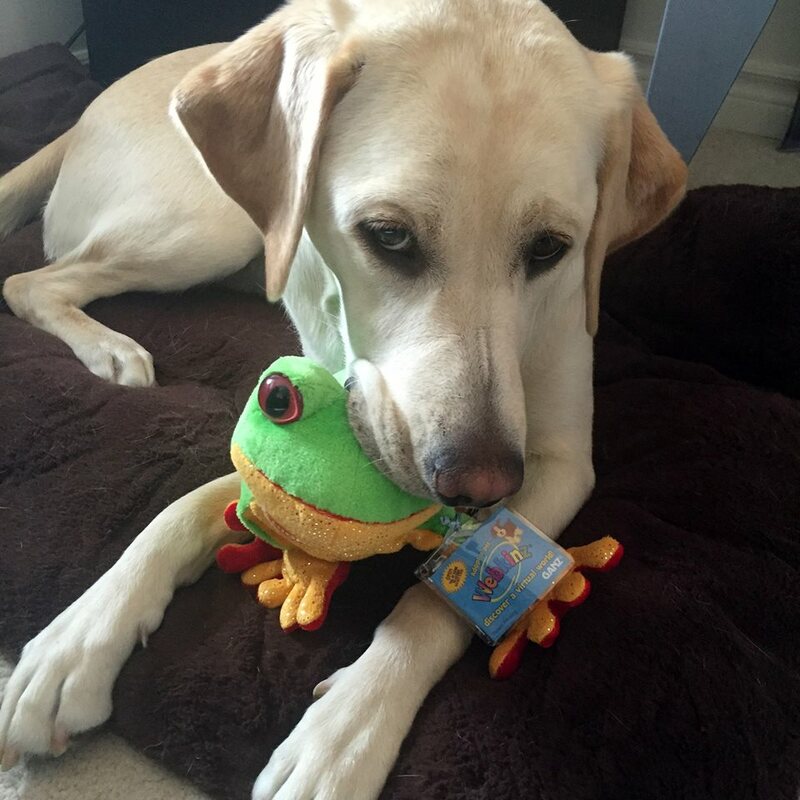 The Alt Text and Common_Description would both read: A Yellow Labrador Retriever chews a toy frog. The Long description reads: A Yellow Labrador Retriever lies on a brown dog bed and chews on a green tree frog stuffed toy. These three fields can be accessed via the Properties tab in the image uploader or by right clicking the image in the editor and selecting Properties. You can use an online tool, such as Contrast Checker, to ensure your page, font and button colors have an appropriate contrast. Note that the font size affects contrast, measuring at above and below 18pt fonts. You can also use this site to view how your site looks with greytones. For those with color blindness, red and green, which are typical action button colors, are not recommended. Also check the contrast between button, hyperlink and menu colors and their hover colors, so that their hover state is clear.